Anhingas also make me happy. Because they’re awesome. I mean, come on. Look at that eye makeup and hairdo. Red eye, blue eye-liner, green eyeshadow, artfully disarrayed frosted spikes. Hotness. savoring a cup of tea while wrapped in a blanket in front of the woodstove. 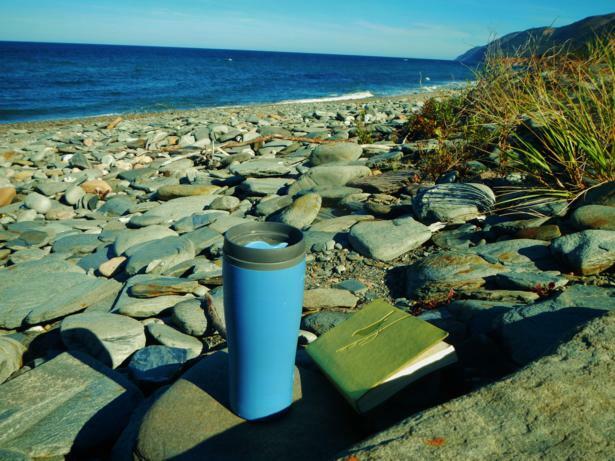 Or savoring a cup of tea while sitting on a rocky beach in Cape Breton Highlands National Park in Nova Scotia, because you don’t have any pictures of leisurely tea drinking by the woodstove. waking, realizing there is no real reason to be up yet, and staying in bed, eyes closed, half awake/half asleep, dreaming. 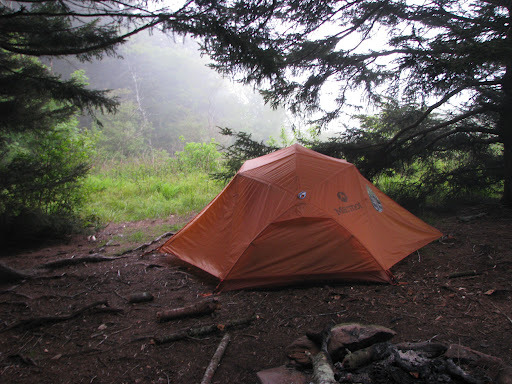 Camping up on Black Balsam, in Pisgah National Forest, North Carolina. the smell of walking through a pine forest in the cool just after dawn. H.J. 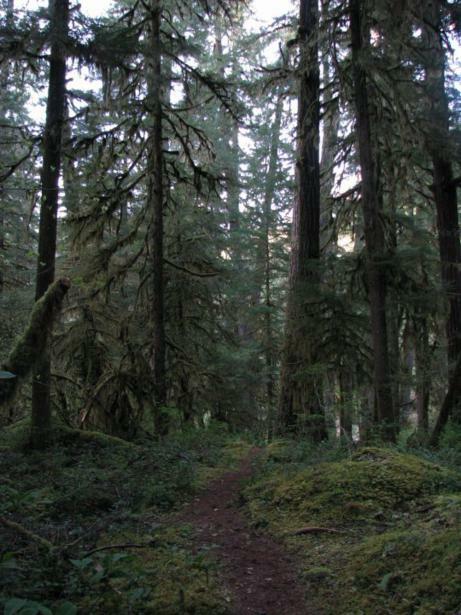 Andrews Experimental Forest, Oregon. I took this in May 2010. If I recall correctly, it rained pretty much the entire three months I was in Oregon. the sound of woodpeckers tapping and hammering on branches. 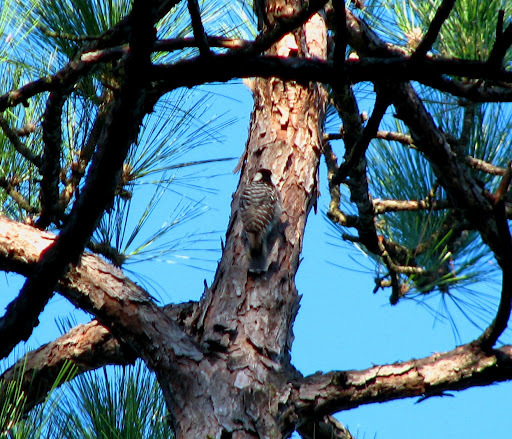 Red-cockaded Woodpecker, Carolina Sandhills NWR, South Carolina. I spent a great deal of time chasing them around in the woods. It was fun. Other than the chiggers and the poison oak. getting sucked into a good book for hours, and only coming up for air when you desperately have to pee. Or eat. This has nothing to do with reading a good book, but surprisingly I don’t have any pictures of me reading. 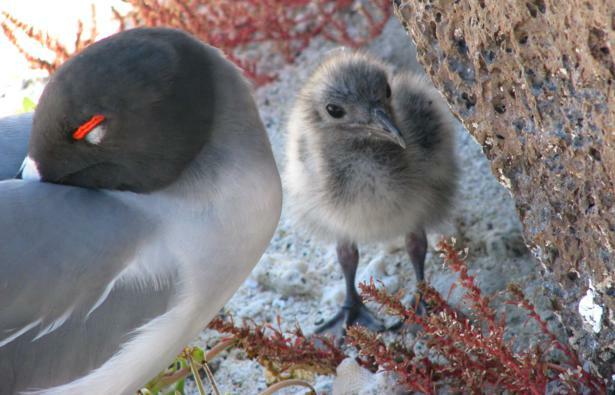 So here’s a picture I took of a Lava Gull and chick in the Galapagos Islands back in 2008. The adult is in breeding plumage, which is why it has the red eye-ring. And, it’s eye is closed. It’s napping. Parenting is exhausting, from what I hear. having progressively logically ridiculous conversations, that are in turns creative, silly, and in a strange way logical. Like planning our post-apocalyptic commune, or our skunk ape/NASA/unicorn conspiracy theory, or pretty much any time Meghan, Patrick, and I opened our mouths. 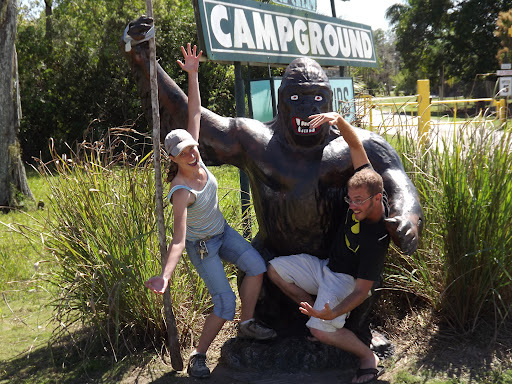 Skunk Ape Research Headquarters, Ochopee, Florida. Based on the drawings (which are based on a first-person description from someone who wasn’t the artist) in the “Skunk Ape Research Handbook,” that is totally a gorilla statue, not a skunk ape. the smell of a rock wall, on the 2nd or 3rd pitch of a multi-pitch route. Climbing Castleton Tower with Max. 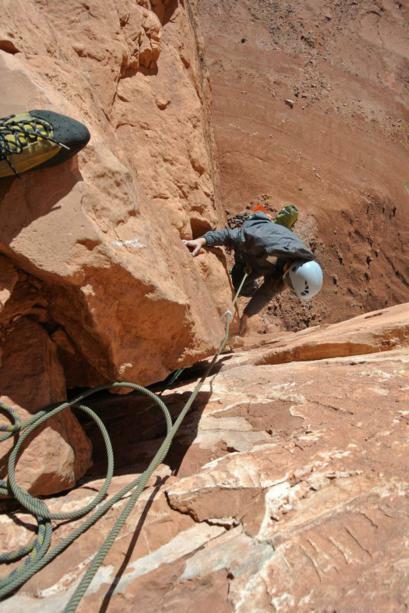 I recommend climbing desert towers with someone who doesn’t say, “You know, if this tower fell over we’d be screwed” as you reach the belay on the 3rd of 4 pitches. Near Moab, Utah. singing along as loud as I please to a good song on the radio. Thankfully I have no pictures of myself singing, so here’s another cool bird picture (you can never have too many). 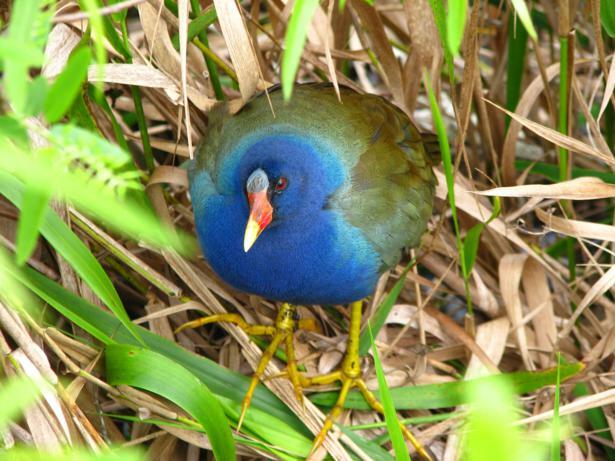 This is a Purple Gallinule, a sweet bird that lives in Florida. They live other places too, but this one lives in Everglades National Park. Well, that’s where I saw it. Maybe it was just on vacation. 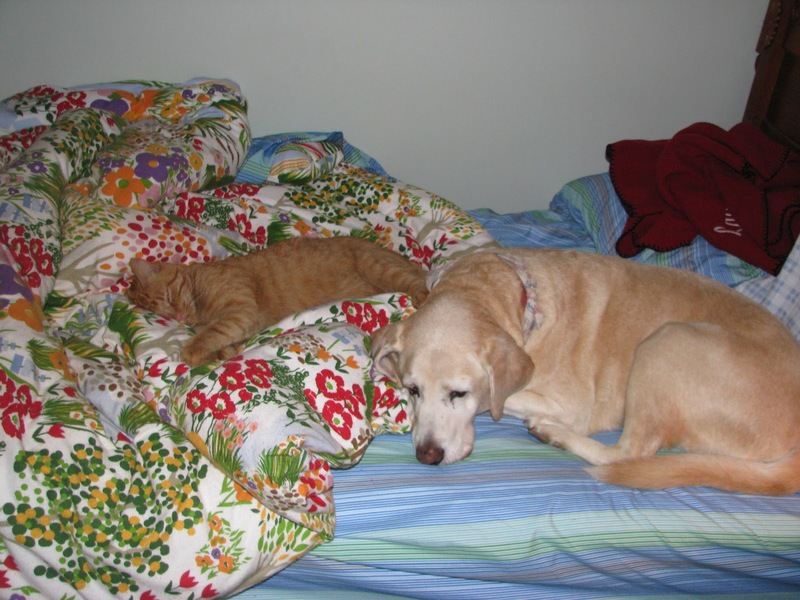 Extra happiness: snuggling with both a dog and a cat. All those blond pet hairs covering your person and clothing are just pet love stuck all over everything in your life. One of the many beaver ponds along the trail. Bridger-Teton National Forest, Wyoming. And here’s a video of what is probably a Ruffed Grouse on Game Creek. It’s a good thing I ride slow, otherwise I might have run it over. These birds could definitely use some street-smarts. Look both ways before you cross RUGR! While I do enjoy sleeping in, it’s experiences like this that make me glad I got up early!